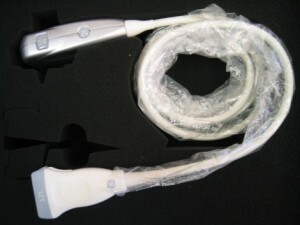 GE Healthcare is the undisputed leader in the field of ultrasound machines, and UsedUltrasound.com is the best place to buy GE ultrasound machines and used GE transducers, probes, parts and supplies. 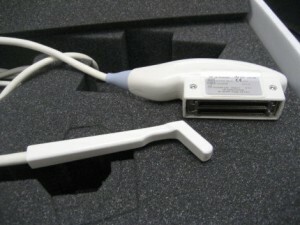 In addition to stocking a huge inventory of used ultrasound machines, we have a big selection of ultrasound accessories, from transducers to probes to replacement parts. 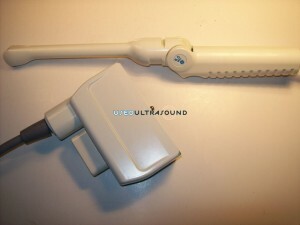 You can easily spend thousands of dollars on probes, transducers, parts and supplies for your ultrasound system, but UsedUltrasound.com can help you spend less. 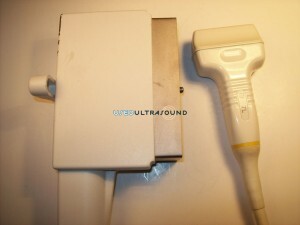 We only carry top quality used ultrasound parts that are professionally refurbished, inspected and tested to be as good as new. 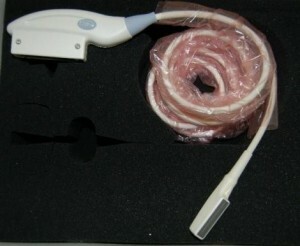 The only difference is that we sell used ultrasound probes and transducers for 60% or more off the price of new. 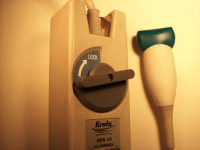 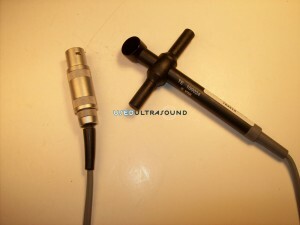 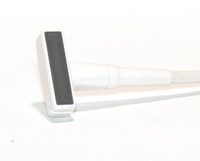 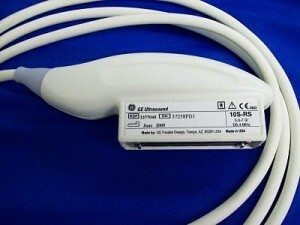 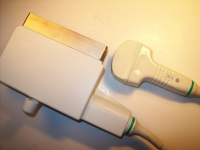 Check out our huge inventory of used ultrasound probes. 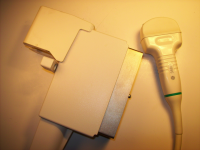 Whether you use your GE ultrasound machine for vascular, cardiac, pediatrics or any other application, we have the right probes and transducers for your needs. 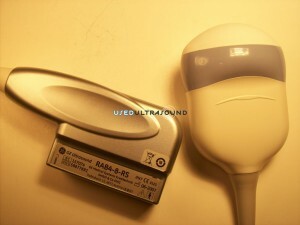 Some of the best selling probes we have include the GE 8C-RS ultrasound transducer, GE 3.5C ultrasound transducer and GE RAB4-8L ultrasound transducer. 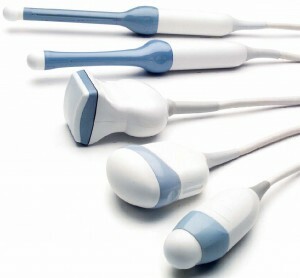 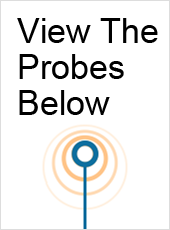 Just contact us today and we’ll show you the lowest prices on used GE probes and transducers. 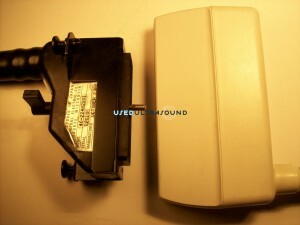 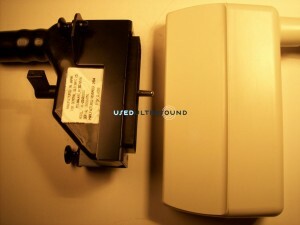 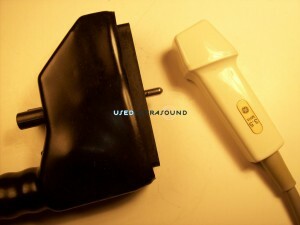 UsedUltrasound.com carries a complete inventory of used GE ultrasound transducers, including those compatible with top selling models like the GE LOGIQ Book XP, GE LOGIQ 9, GE LOGIQ Book and GE LOGIQ e. In fact, we have GE ultrasound parts and supplies for all GE ultrasound machines. 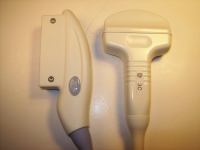 Most GE transducers are compatible with a long list of GE ultrasound machines, so with a single purchase you can find a transducer that will work on multiple machines. 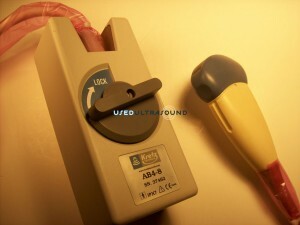 And because GE ultrasound machines are in such wide use, you’ll have no problem selling your GE transducer if you ever don’t need it in the future. 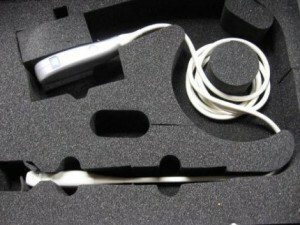 Besides selling used ultrasound systems and used ultrasound probes, we also offer ultrasound service contracts and ultrasound probe repair. 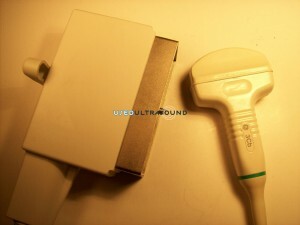 Contact us now for all your ultrasound needs. 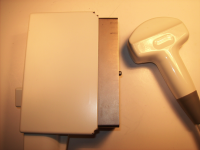 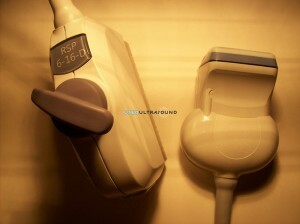 The GE 10LB-RS ultrasound transducer is a linear array. 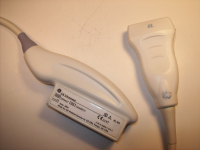 Compatible with the GE Logiq book, the GE 10LB-RS probe would increase the diagnostic capabilities of your ultrasound equipment. 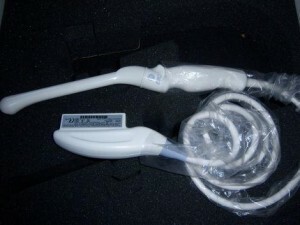 The 12L-RS probe from GE is a linear array. 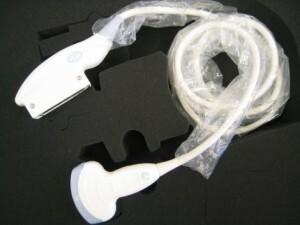 The GE 12L-RS probe can be used with the GE Logiq e, GE Logiq i, GE Vivid S5, GE Vivid S6, GE Voluson e, and GE Voluson i. 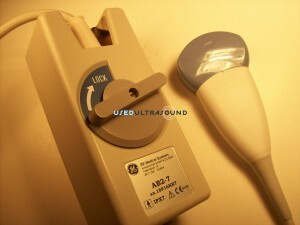 The GE 4C-RS ultrasound transducer is a convex and curved array. 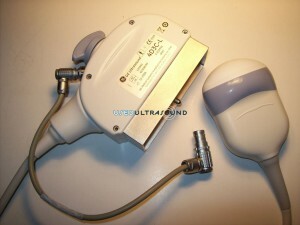 GE Voluson e, Logiq i, Logiq e, and Vivid e are compatible with the GE 4C-RS convex transducer. 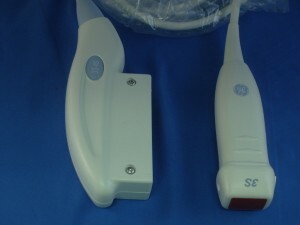 The GE 5S-RS probe is a sector transducer used with GE Vivid q, GE Vivid i, GE Vivid S5, and GE Vivid S6. 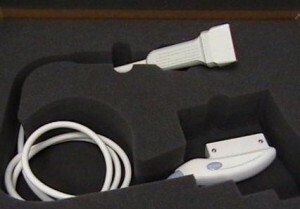 The GE 5S-RS transducer allows users to access a probe with 2D, harmonics, M-Mode, color doppler, and PW & CW doppler. 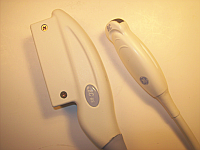 The GE 6S-RS probe is compatible for use with GE Vivid i and GE Vivid q ultrasound systems. 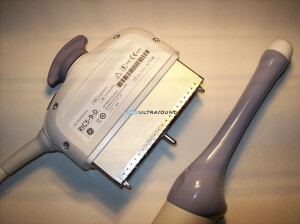 The GE 6S-RS is a sector array useful for medical offices specializing in pediatric and neonatal cardiac medical needs. 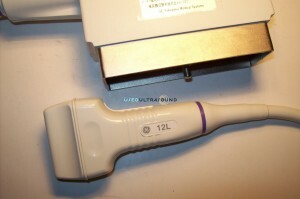 The GE i12L-RS probe is a linear transducer for compatible Vivid and Logiq series ultrasound units. 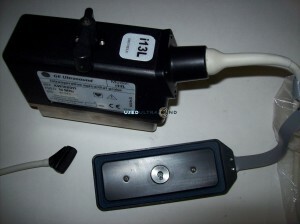 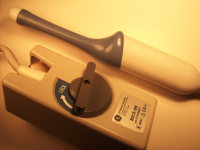 The GE i12L-RS transducer can be used with the GE Vivid i, GE Logiq i, GE Vivid e, and the GE Logiq e.